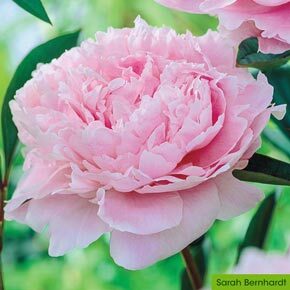 Herbaceous peonies are the most commonly grown type of peony, but what many gardeners don't realize is that their popularity is in part due to their longevity. They simply grow, bloom and multiply for years and years, making them perfect "pass along" plants, and favorites to share with neighbors and friends. 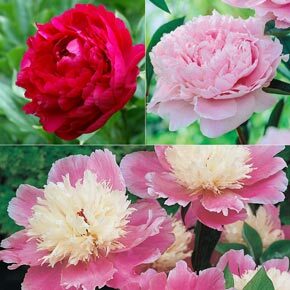 We've selected three varieties that are particularly tried and true for this value-priced collection. 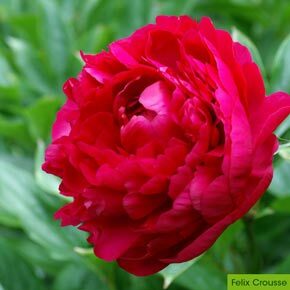 All are disease resistant, mildly to very fragrant, and produce some of the best cut flowers available. They bloom in late spring, with each individual variety blooming for an average of 8-10 days, and deer leave them alone. The foliage of glossy green leaves remains throughout the summer, then dies back to the ground in winter and reemerges early each spring. 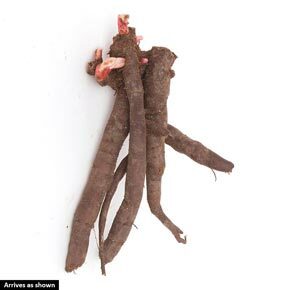 All they require is at least 6 hours of full sun with rich, well-drained soil. Like most long-lived perennials, it can take a few years for them to produce masses of blooms, but be patient, they are well worth the wait. You'll be rewarded with a lifetime of flowers. 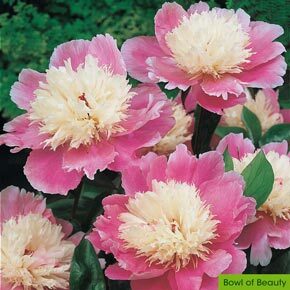 Trio contains one each of: Paeonia 'Felix Crousse', Paeonia 'Sarah Bernhardt', Paeonia 'Bowl of Beauty. Total 3 plants. Foliage Type: Glossy, deep green leaves. Very ornamental through-out the growing season. The new growth in spring is a copper-burgundy and turns a soft yellow in the fall.